Download this App: SUBWAY® App on the App Store on iTunes | Blackworld.com - Connecting the world with Africa. available in participating locations across the U.S..
- Find: Use your phone to find a SUBWAY® Restaurant wherever you are! 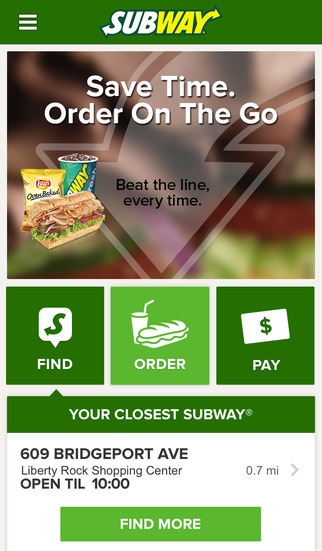 - Pay: Use your phone to pay for your order when you’re in a SUBWAY® Restaurant. Please note: Remote ordering available for participating restaurants.